Poly Morphous 1-3, by Laurel Lynn Leake. Leake specializes in writing about sexuality and forest-related fantasy stories, and this little trio of minis combines those two interests. Each eight pager contains a poetic narrative caption along with images of Poly, a cute critter who explores different desires. In the first, Poly lives up to her name as she wants to "be the conduit for your current" for a couple in their forest. It's an expression of wanting to absorb and be part of the energy of a relationship, frustrated by the couple's total lack of interest in the idea. The inherent sadness of the narrative is mitigated by the cute and funny nature of the drawings. The second issue comes from an entirely different place, as Poly is consumed by obsessive thoughts that she worries might spread to her loved ones. This leaves her to be alone, even if solitude is the worst thing possible for obsessives. The third is about the tension between consciousness and sleep and the difficulty of inhabiting either world fully. Hear, the melting drawings do a spectacular job of supporting the text instead of working in tension with it, as Poly can't quite cohere to a single form. These are fascinating little workouts about mental health, curiosity and desire. The Aeronaut, by Alexis Frederick-Frost. 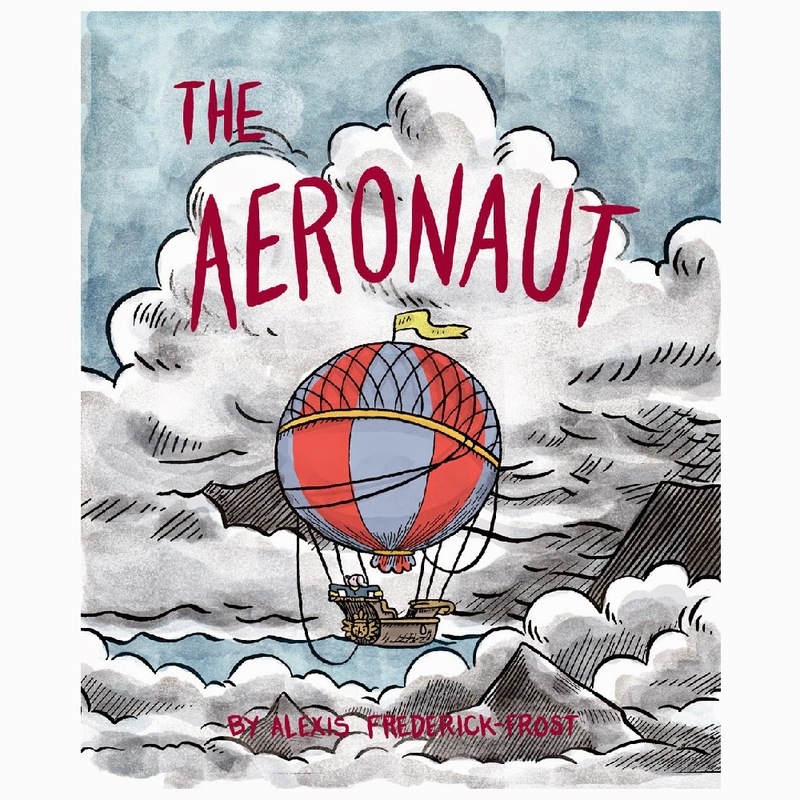 Frederick-Frost specializes in comics about travel adventures, so this silent account of a one-man balloon expedition to moon based on a variety of fanciful newspaper accounts is right up his alley. He's a master of economy on the page, as the quest is set up in the span of just three pages, leaving lots of room for the perils of the voyage itself. He goes from an information-dense four panel grid to a two panel set-up during the journey itself, giving the reader a chance to drift along with the balloon in question. An encounter with a large bird who thinks the balloon is one of his lost children is salvaged with a handy set of giant feathers, enabling the explorer to fly up to the moon, wherein he encounters gigantic and deadly vegetation, intelligent and friendly anthropomorphic beavers, and lighter-than-air dandelions that allow him to get home. This is a charming if slight bit of imagination, an extended and detailed doodle daydream inspired by the tall tales of past adventurers. It's lovely on its own but would look even better in a hopefully future collection of Frederick-Frost's short stories. August Chase Volume 1, by Laura Terry. Terry has become an ace with regard to fantasy stories with a tinge of emotional regret. Her character design lush but restrained use of color and storytelling is simply top-notch, and the first chapter of August Chase is something that I could being a huge hit in a different format. 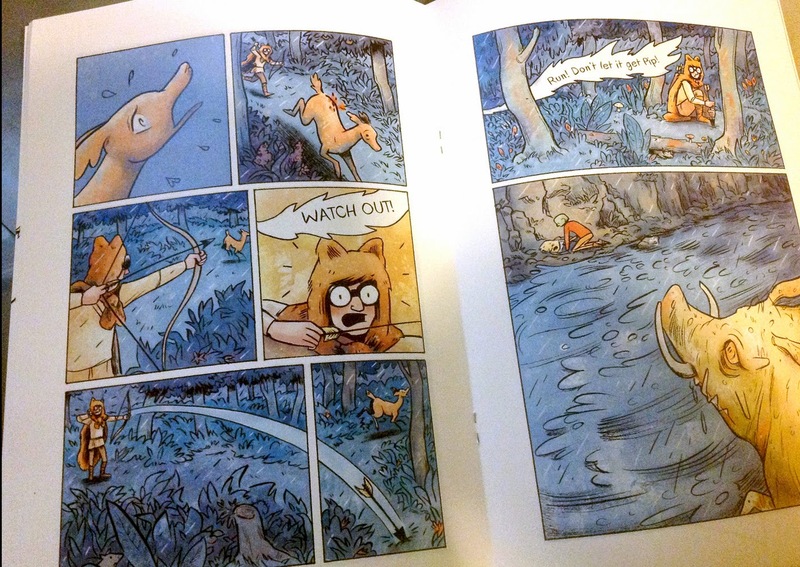 The story follows a lone hunter in a forest wearing goggles and an animal cloak. It's a striking bit of character design that's simple but instantly memorable. 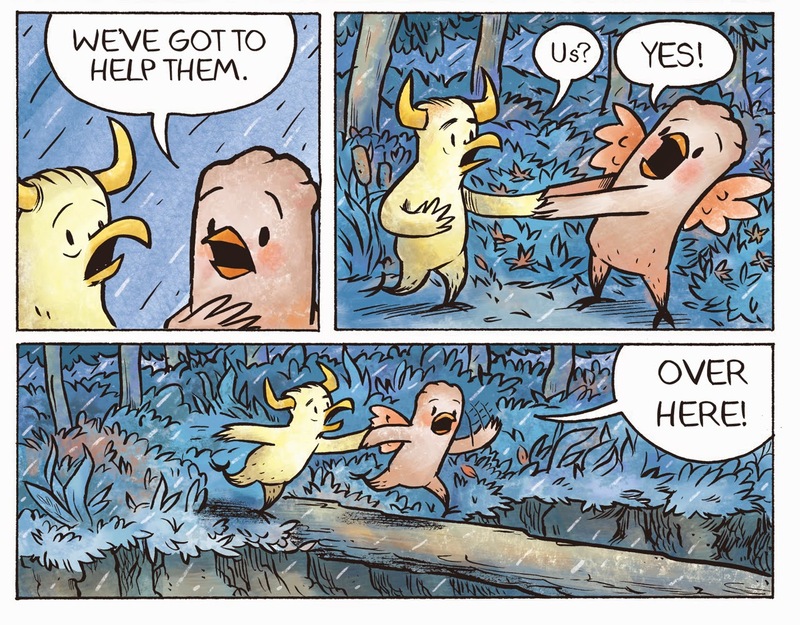 The other character designs range from anthropomorphic ducks, bulls and monsters that are drawn with a great deal of tenderness as well as other humans that are far more harsh. The first chapter gives the reader a lot of backstory without actually dumping much text on them. We know the hunter with the bow is August, we learn that he's a renegade and hunted by his cruel father, and we know he's not much of a joiner. By the end of the first issue, his fate gets tied to that of a group of forest adventurers, entirely against his will. There are beautifully staged chase and action sequences, moments of humor, and instances of deep emotion. 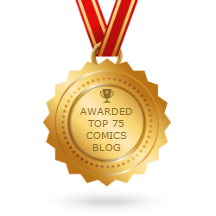 What I admire most about the comic is that despite its obvious young adult target range, it's a comic that doesn't talk down to readers, nor does it telegraph its immediate themes. Starting the book in the middle of a hunt gives the reader a great hook, rather than saddling a reader with a lot of backstory. It works because the reader is meant to feel and empathize with all of the relationships in the book: betrayed son, vindictive father, tight-knit group of friends and a general fear of the unknown.